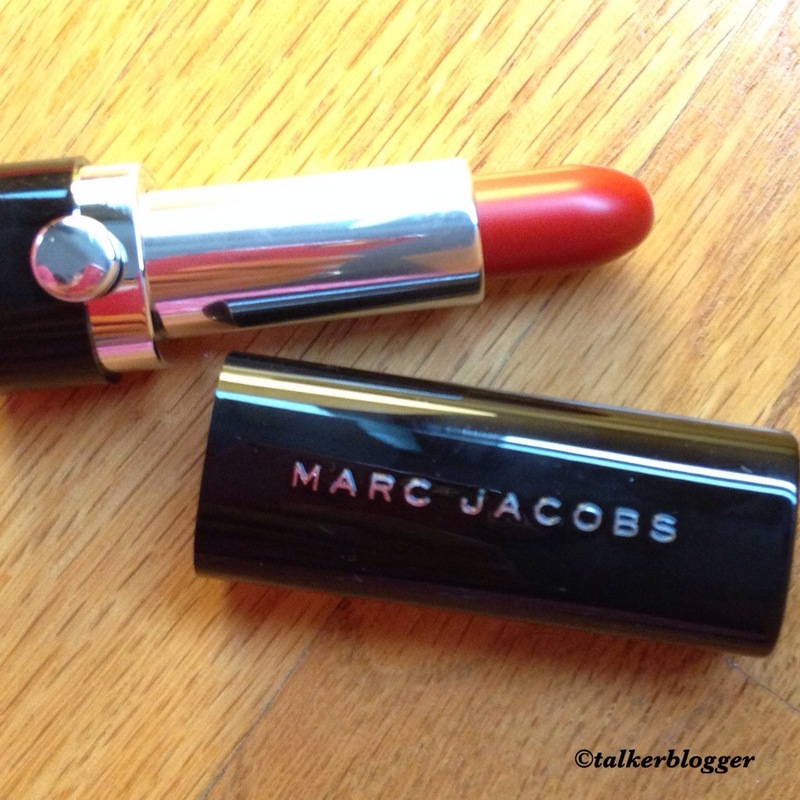 My first purchase of Marc Jacobs lip products. 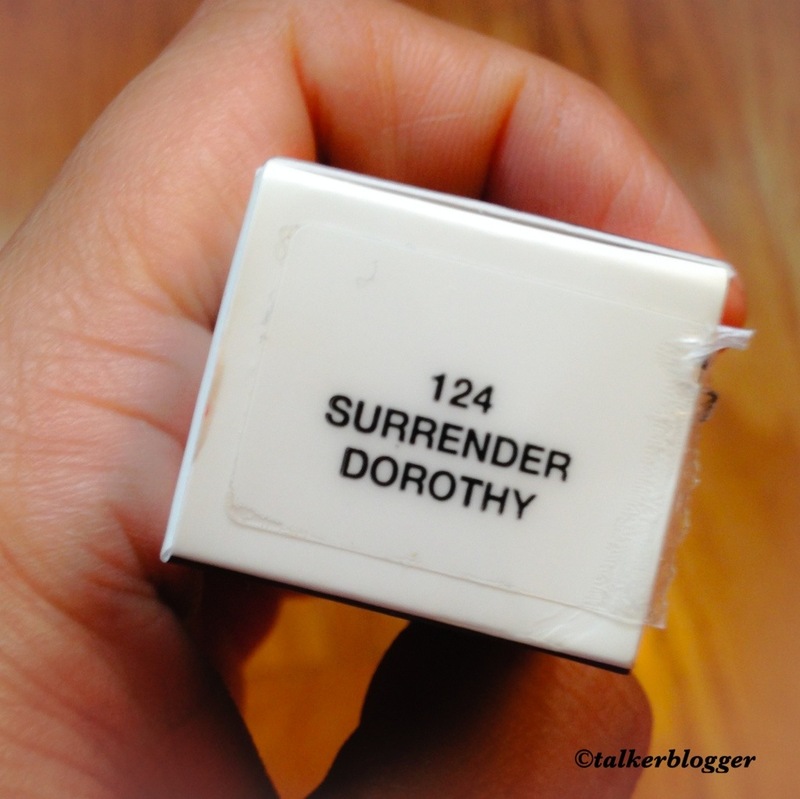 124 Surrender Dorothy, Is an orange red color. Contains Myrrh Extract, Vitamin E Oils, and Monoi Butter: Provide richness and moisturization while reducing the signs of aging. 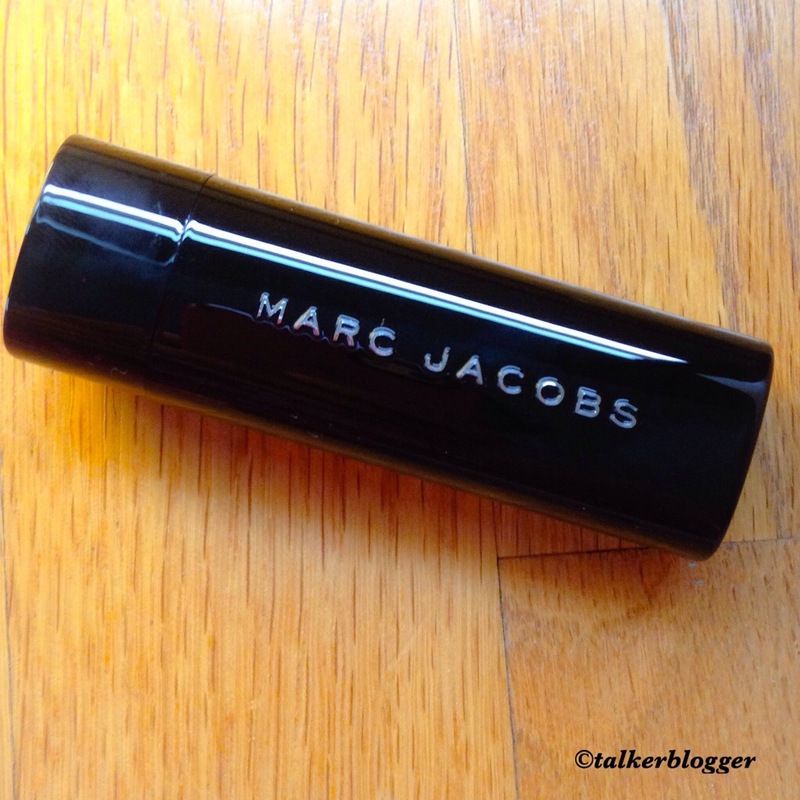 The most innovative part of the packaging is the lipstick lid is held together by a small magnet on the bottom cover, that prevents accidental opening and (such often) ruining of my bags and makeup punches with lipstick smears. OVERALL: Don’t approve of a $30 USD price tag for an ok color, not an extra special lasting powder and the magnetic clasp. 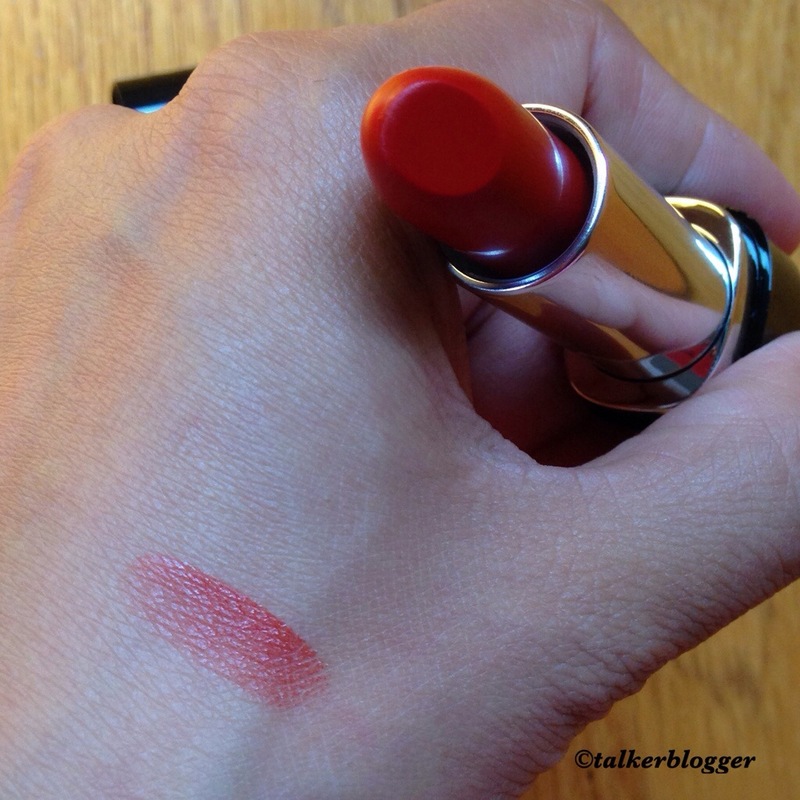 It’s a $6 USD Revlon Lipstick sold fancy and priced five times more. 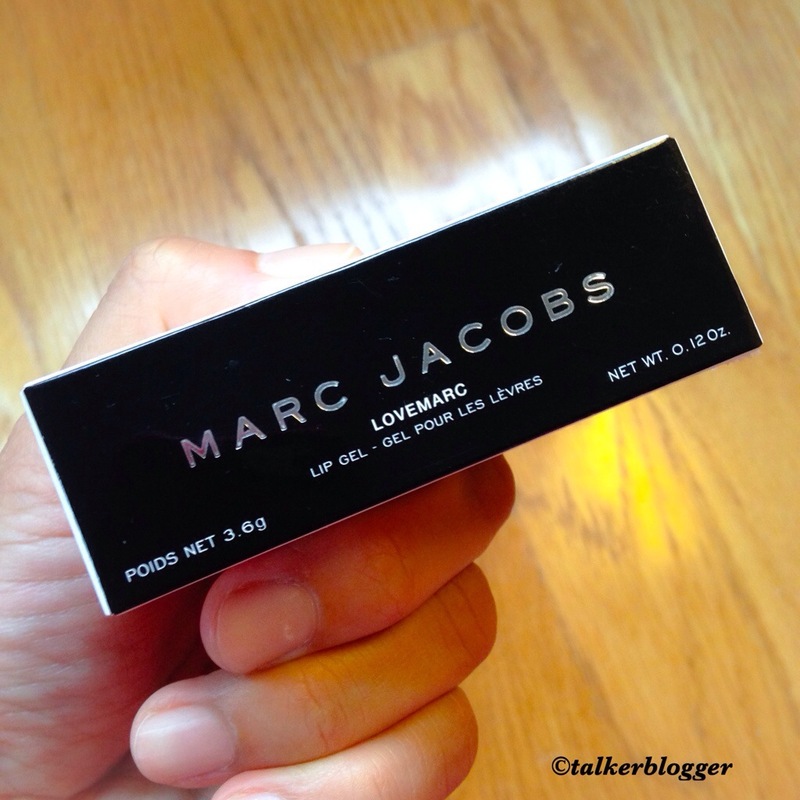 I was always fascinated and captivated by the packaging of Marc Jacobs. And maybe the first and the second reason I want them will be the packaging! Applies well, pictures show 2 coats and a base coat. This was applied just encore bed time, let dry and pictures the next noon. I didn’t do much work around the house besides bathe the kids and some dishes and it didn’t last me a day. This was my first attempt at the brand and I am highly disappointed. 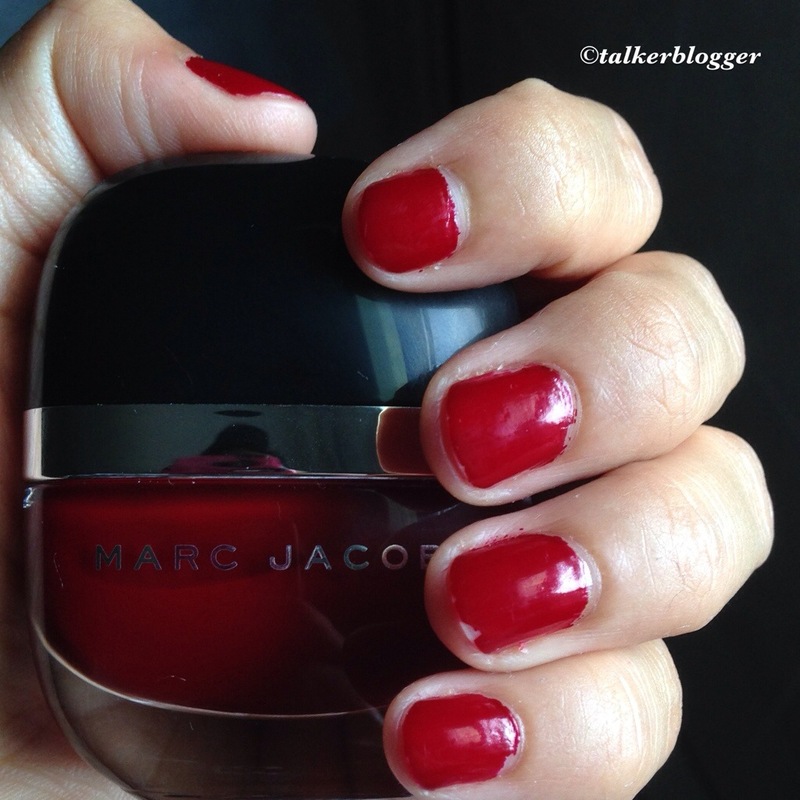 For $18 USD, I love the color ..Dark Cherry Red.. But it’s going back. 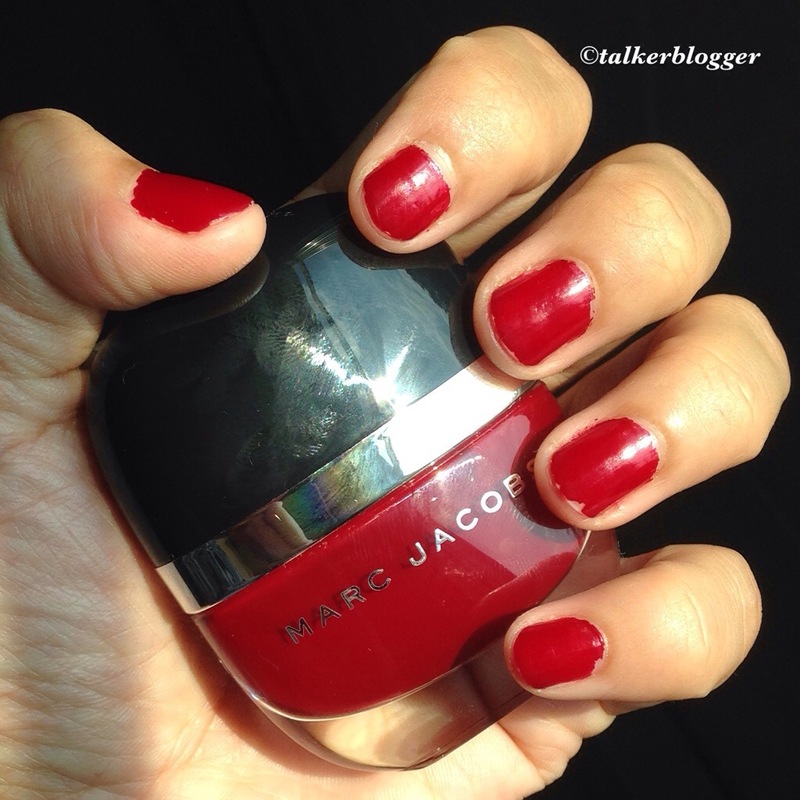 OVERALL: Lovely color but doesn’t last. 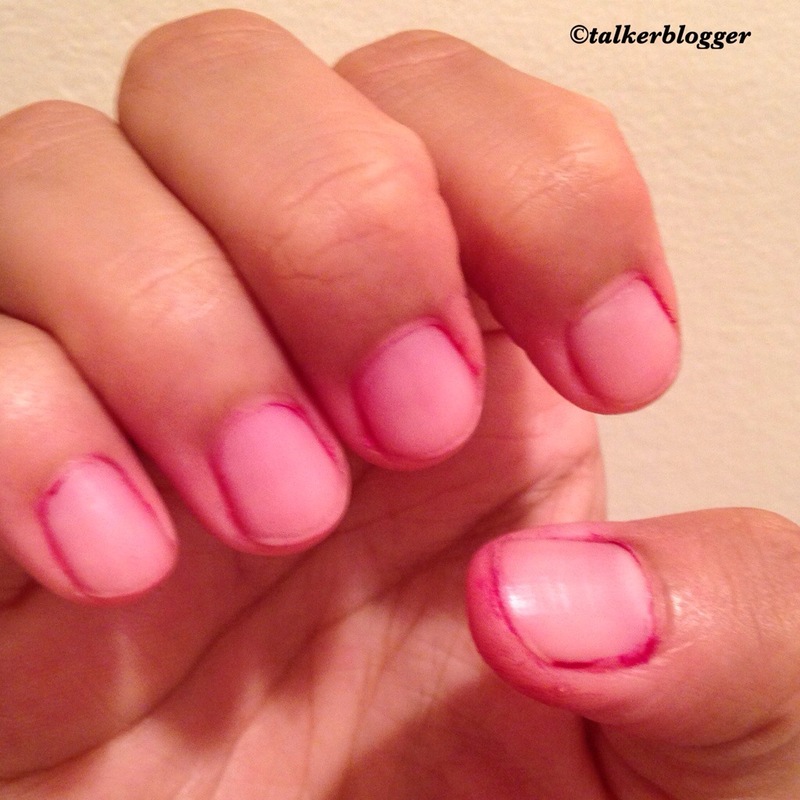 Also the worst part , after 24 hours of wear it didn’t come off with 3 fresh cottons of remover and stained a bit. I’m definitely taking this back for a refund at Sephora 😪 extremely disappointed. Fun day today! Although super tired now …but I am excited !! But I was quick enough to try a few while rushing out.. Starting with the Index finger , I am wearing two (very badly applied, but at least I tried it on… ) Marc Jacobs Nail Paint from his latest cosmetics collection: Marc Jacobs Enamored Hi-Shine nail Lacquer, 148 Glinda , Silver Glitter… It’s retailed at at $18 for 0.43 oz at Sephora Stores only. I must be honest, I did see the YouTube launch of the product line and this one color instantly hit my fancy at the time … The bottle was super cute and quite unique. The brush was medium thickness and the formula was good enough ( I don’t find it “wow”, but it was nice and thick and actually not that bad ) . The polish sparkles, it’s beautiful and I think my lousy picture doesn’t quite deliver justice , but it’s actually beautiful. 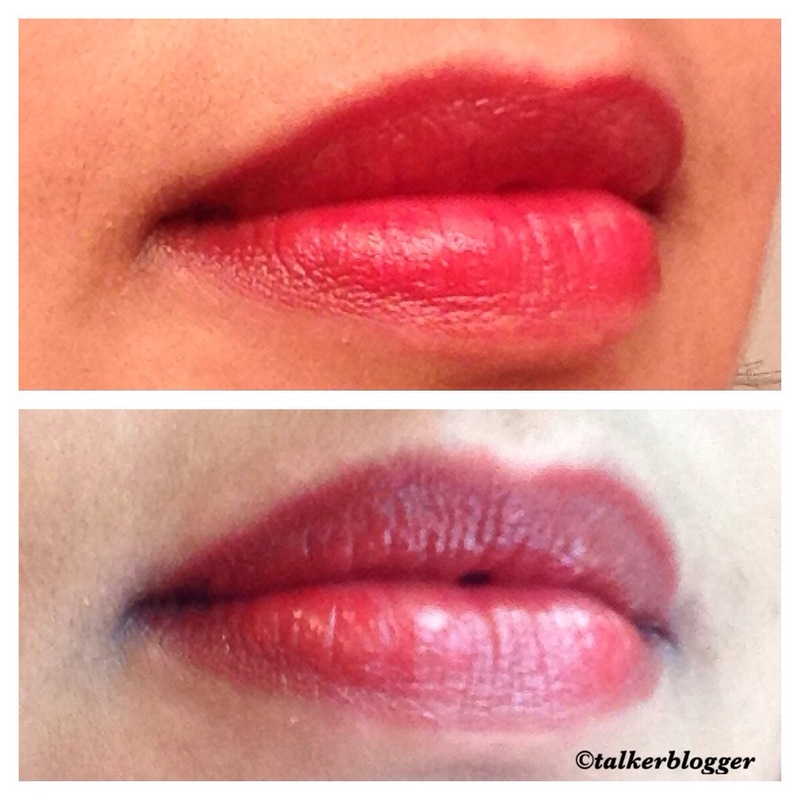 It’s clear shimmer and a lot of it !! It’s not really silver , it’s actual Silver Glitter that makes it sparkle. The middle finger has the sephora Formula X : Hubba Hubba … Retailed at $12.50 for a 0.4 oz , it’s described as Silver Iridescent glitter ..but I found it quite unattractive and “cheap, little girl, play time glitter polish”.. It’s multi colored fine glitter that actually looks like Golden base when applied on nails along with big ugly silver glitter chunks .. It looks like a polish I would rather not wear at all than wear this polish .. That’s my personal opinion .. In the sun but the out of focus picks the highlights of the color base .. 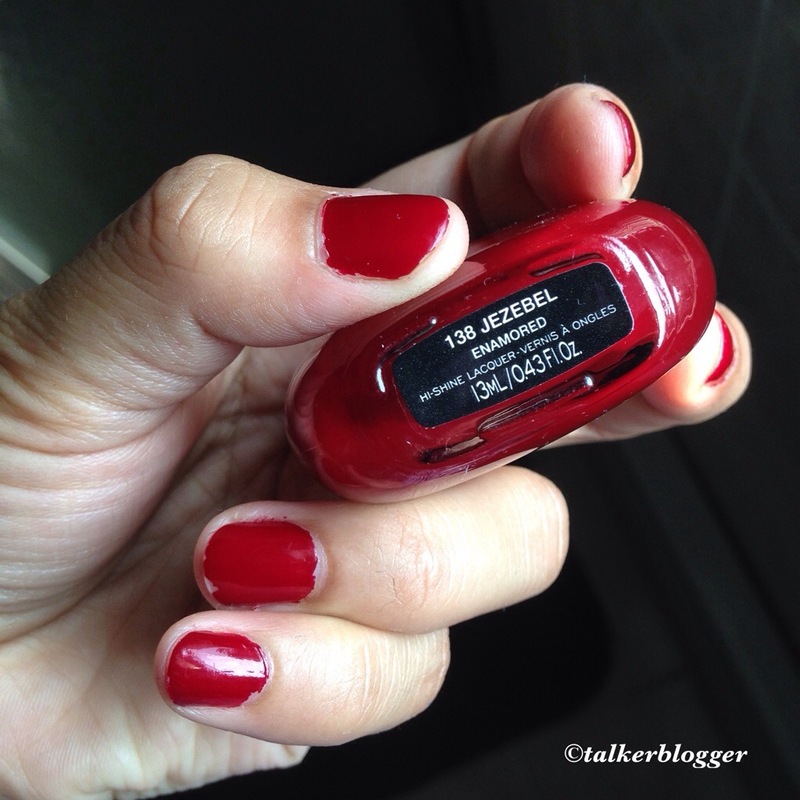 The final polish on my ring finger is Sephora Formula X – Oh Zone! And I must admit I was absolutely in love at first sight ..!! It’s multi colored glitter on clear base, but it has a very subtle yet attractive shimmer. It was an instant attraction and I must tell you that my “not such a nail paint crazy as me , as long as it looks good red and burgundy colors are the same … Pink is pink .. Not baby pink, hot pink, rose pink, fuchsia …husband”.. Did love my nail paint and even paid for the buy… .double treat..! !